The Krugerrand celebrates its fiftieth anniversary this year, marking a critical milestone in South Africa’s beneficiation of its precious metals. “The success of the Krugerrand shows it is possible to add value to our precious metals if we develop local capabilities and channel resources towards achieving these goals. It will take time and huge investment, but it is something worth pursuing,” Rand Refinery CEO Praveen Baijnath said on Tuesday. 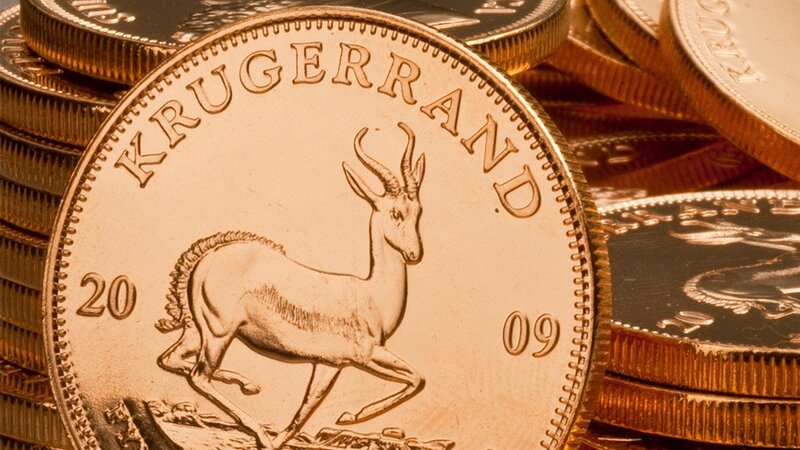 Rand Refinery is the sole supplier of bullion Krugerrands to primary distributors locally and internationally, with the Krugerrand being the most widely held and actively traded bullion coin in the world. The coin was developed as a gold investment, with its face value being denominated in ounces of pure gold. Since its launch in 1967, more than 53-million ounces of gold have been sold in this form. “The Krugerrand has come a long way and actually tells a beautiful story about South Africa’s endeavours to add more value to its precious metals for the export markets,” Rand Refinery marketing head Richard Collocott added. It was first only produced as a 1 oz gold coin. However, recognising an opportunity in the market, the Rand Refinery started producing fractionals of a ½ oz, ¼ oz and 1/10 oz in 1980. The 22 ct gold coins contain 11/12 24 ct gold and 1/12 copper, with copper being a traditional alloy used to harden the coins for durability and strength. In the early days of South Africa’s gold mining, the crude bullion produced was shipped to London for refining, but, in 1920, Rand Refinery was launched. Now the largest integrated single-site precious metals refining and smelting complex in the world, Rand Refinery has, since inception, refined nearly 50 000 t of gold – almost one-third of all the gold mined worldwide. Rand Refinery has further established three key projects that seek to further beneficiate the metal and benefit local communities, including the Gold Zone, Intsika Skills Beneficiation Project and Ekurhuleni Jewellery Project. The Gold Zone, located within Rand Refinery’s Germiston precinct, aims to become a major hub for precious metals fabrication in South Africa for global export, simultaneously assisting local communities with skills development. The Intsika Skills Beneficiation Project provides jewellery design and manufacturing training to formerly unemployed young black women over an 18-month period. Meanwhile, the Ekurhuleni Jewellery Project is a small- to medium-sized manufacturing enterprise and black economic-empowerment incubator for qualified young black jewellery manufacturers. In partnership with government, Rand Refinery provides funding, workshops and access to precious metals to enable these young entrepreneurs to start their own businesses in a secure and enabling environment.